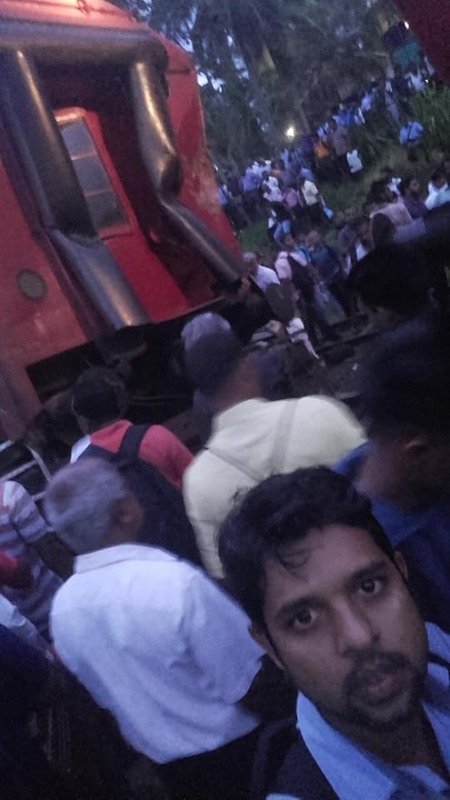 Senkadagala Menike train and No. 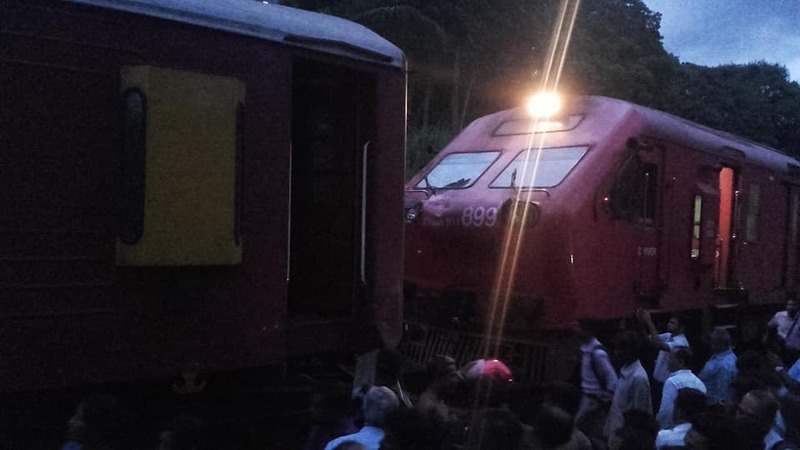 164 train plying to Rambukkana from Colombo Fort had collided with each other around 4.50 this evening at Panaliya between Polgahawela and Rambukkana. 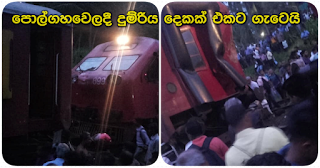 close to Polgahawela railway station due to some problem and subsequently the train which was plying towards Rambukkana from Colombo at 4.50 in the evening had crashed against the rear part of the already stopped train, Mr. Anura Premaratna, superintendent of railway security mentioned. By now 32 persons have been admitted to hospital and it is known that further casualties would be hospitalised.